When you take out both an HSBC Premier Current Account and Credit Card (Representative 18.9% APR variable), you can indulge in two nights away at some of the UK's top hotels. Your luxury overnight package includes an experience such as a relaxing spa break and your additional night is on a bed & breakfast basis. 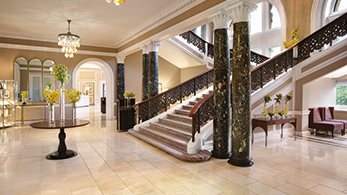 Waldorf Astoria Edinburgh – The Caledonian or ‘The Caley’ as it is affectionately known among Edinburgh locals, has embodied the very best in Scottish hospitality for over a hundred years. Quietly located a short distance from Farringdon, near to the Barbican, St Paul’s and The Tate Modern, the only remaining early houses in Peter’s Lane have been repaired and extended to create our delightful boutique hotel. Llangoed Hall is a wonderfully elegant and historic country house hotel situated in the beautiful Wye Valley in the heart of the Welsh countryside. 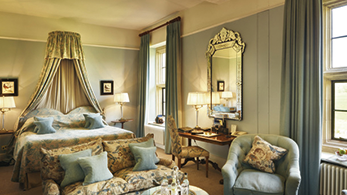 It offers the quintessential Edwardian country house experience. 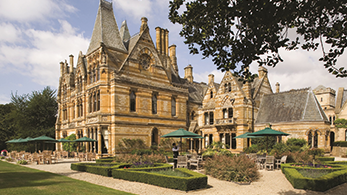 Ettington Park is set in 40 acres of Warwickshire countryside with the River Stour meandering through it. Furnished with exquisite antiques, fine paintings and friezes, it is clear to see it was once a much loved family home. Experience the luxury, opulence and style of the golden age of travel at The Grand Hotel & Spa, housed in the iconic former headquarters of the North Eastern Railway Company. 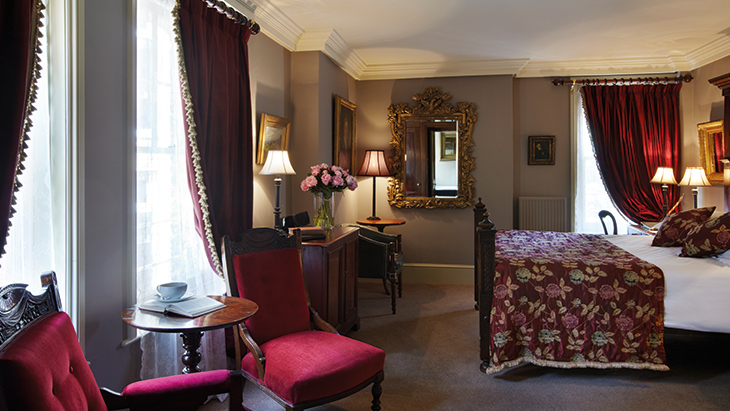 The Grand Hotel & Spa York has something for everyone.